Alright, after months and weeks of eagerly waiting for the CM12s Android 5.0 Lollipop update here were are finally at the moment where Cyanogen has released the CM12 Lollipop and OnePlus One will be the FIRST phone to receive the OTAs officially. Last morning Carl Pei, the CEO of OnePlus tweeted that the roll out would start soon as the ROM went thru certification. While there is no specific logic that we know of which is followed for the OTAs to be pushed, lots of Indians too have received it as promised by Carl and Vikas the Indian GM of OnePlus. 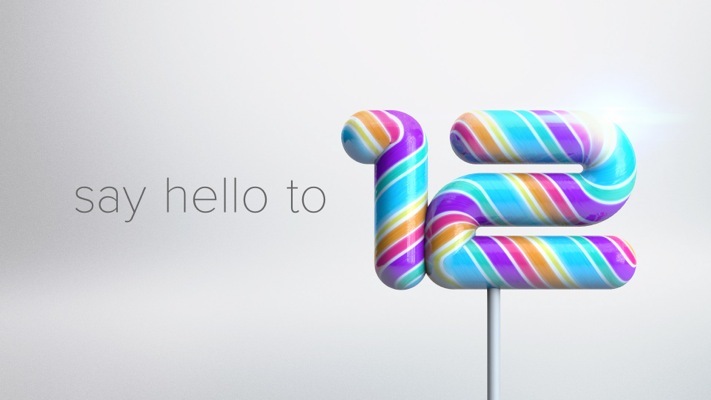 We know you would be very eagerly waiting for the update to arrive to your device but in case you are short of patience and want to go full throttle on the Android Lollipop you’ve been wanting to taste from so long we have some good news for you! Using the following instructions, you can get your OnePlus One onto the CM12s and believe us, it is a breath of fresh air with lots of improvements like app themer and such. CM12s has adopted lots of things from the official Android Lollipop and folks who’ve been on the CM12 nightlies have been giving good reviews on it. Alright enough of talking lets roll you down to the instructions. 7. Once installation is over, go to main page and ‘wipe cache partition‘. Once booted, you should be seeing the new Cyanogen logo – Voila! 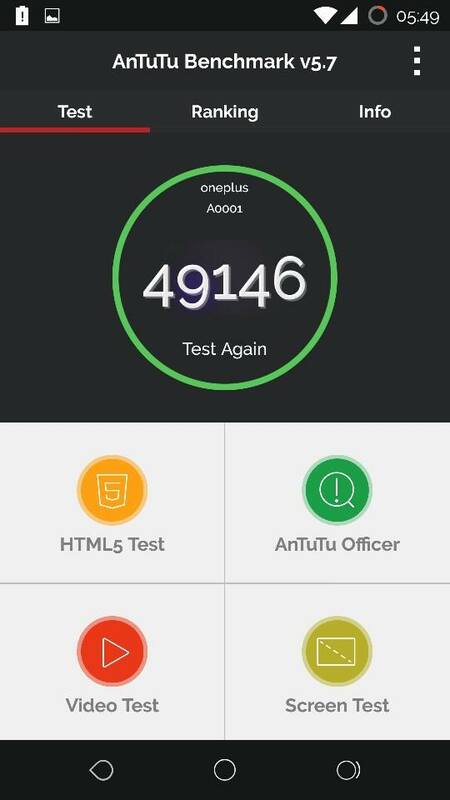 you’re now on the CM12s Android 5.0.2 Lollipop OS on your OnePlus One. Note: The below method will WIPE all your apps, settings, contacts, messages, etc. but the data on your internal SD wont be affected. So, make sure to take a backup. 2. Transfer the file to the root directory of your phone’s internal storage. 3. Reboot into TWRP recovery – Press and hold the Power+Volume Down button simultaneously and release once you see the OnePlus logo. 4. If running Oxygen OS – Select Wipe > Advanced Wipe > Select “Dalvik cache, System, Data and Cache“. Then swipe to wipe. 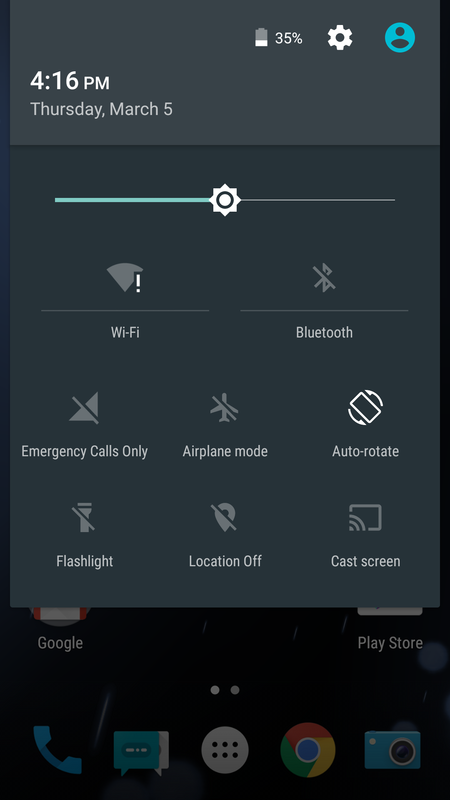 If updating from CM12 nightly – Select Wipe and then ‘Swipe to factory reset’. 5. Go back to Home screen, select Install and then choose the “cm-12.0-YNG1TAS0YL-bacon-signed.zip” file that you transferred in step #2. Then Swipe to flash. 6. Once installation is over, Reboot System. 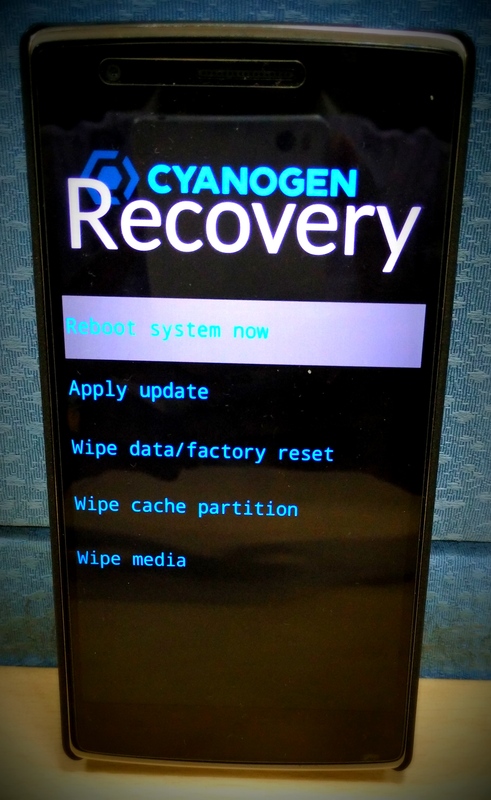 How can I flash Cynogen OS 12.0 on my OPO having customer recovery (TWRP) and stock ROM. Do I have to move back to STOCK recovery before flashing OS 12 .zip file?? Hello, i am having the same issu . Have you found the solution already? Mine is rooted with twrp an stock 11s running. Flashing from twrp with the 12s zip gives me the error too. No need to move to Stock recovery. What recovery and ROM you’re running currently? Is it same as OTA update?? Is their side effect or difference of flashing this instead of OTA??? No side effect as this is the same update that is being pushed via OTA. Official link for update added too! It does take a long time on the cyanogen logo.. but worked perfectly in the end.. It actually took a while. I was pressing the Power Button to reset the phone when the Cyanogen Logo disappeared and the apps started to optimize. It takes like 3 minutes more than usual. Yeah, technically it should work as this is a Full ROM package and not an incremental OTA file. Try and let me know if it works. Hope you’ve taken a backup. Anyone else having this problem or know a solution? I am having same issues. Did you find any resolution? Hit the power button. Mu first boot did the same thing and I was about to power cycle it. Power held for about 5 seconds woke it right up and it started optimizing apps. I have an encrypted OPO running CM11S. Upgrade to CM12 is impossible due to the encryption. Any way to deal with that? 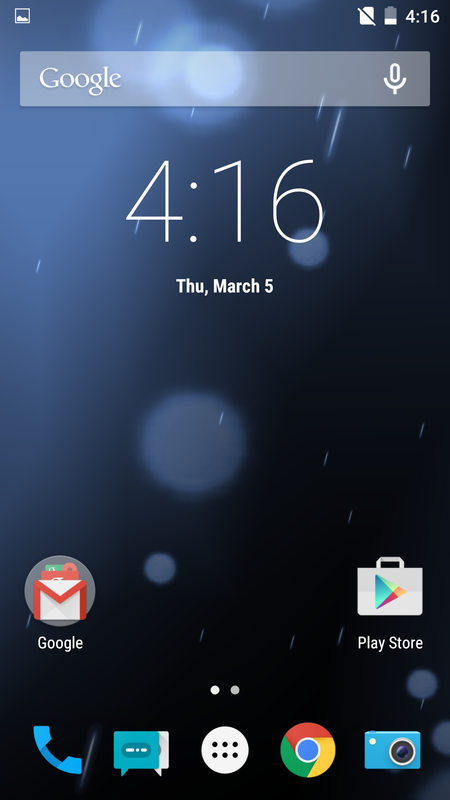 Dude, cm11s IS THE STOCK for OPO. Encrypted phone with this ROM fails to update to 12S without factory reset. Subsequent attempt to encrypt it (after reset) also fails and wants to do factory reset again. Sounds like CM12S is not quite ready yet for serious use. 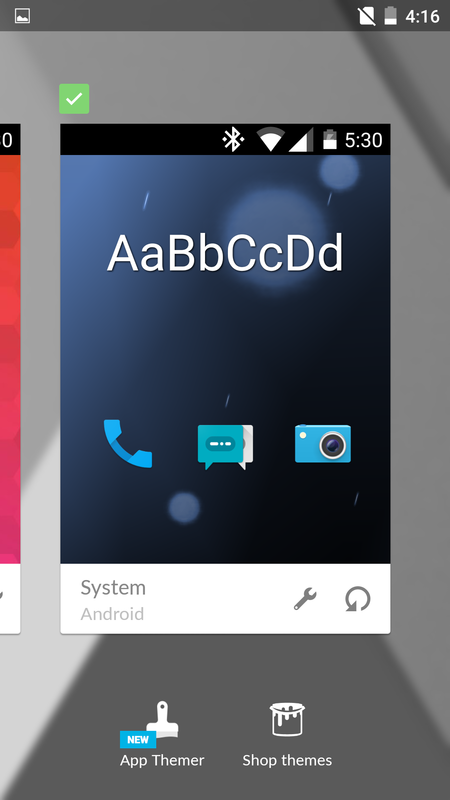 i successfully installed cm12s but why is my app drawer lag? I just flashed the update on my OPO. So far everything feels way faster and snappier compared to KitKat. However, I\’m not able to locate the Maxxaudio Audiofx settings. Can anyone clarify this? Thanks. I successfully installed cm12 but, it is not booting up. It started and i can see \”cyanogen\” for like half hour now. I tried rebootin but still not starting up. I did not wilpe anyhing during installation. Any ideas ? I moved from Oxygen Os to Cm 12 using Twrp. how do I copy to Root Directory? Is it ok to copy into /Download folder? yeah, copy wherever you like just remember the location. 1. With CM11S 05Q + TWRP + root in my phone, do I need to wipe Cache, Data and Dalvik Cache or just wiping Cache and Dalvik cache will do the trick? 2. I have seen that after successful installation of CM12S it asks if I would like to root or not, Should I swipe to keep my phone rooted? I just flashed the update on my OPO. So far everything feels way faster and snappier compared to KitKat. However, I’m not able to locate the Maxxaudio Audiofx settings. Can anyone clarify this? Thanks. Man why can\’t I find the flashable rom in cyngn.com website while here the author mentions the rom is available for download. Is this the official stable built of CM12s or nightly build. Is the source trusted? Can’t you make out from the first link if it’s trusted or not? It’s official source itself. I am not geek… I don\’t know much about custom recovery and all the phd things about installing custom rom. Tell me the exact procedure please. 1. Is it needed to root ? 2. How to install twrp ? Follow the first method. Those are detailed steps only. Which custom ROM are you trying to install Ninad? Yes it is required to unlock the bootloader, root the device, have a custom recovery – this will enable you to flash custom roms. No swiftkey. This is not the 12s, this is a nightly. You shouldn\’t fool people because you really know what are you doing: promotion to your website. Your silly comment doesn’t even deserves a reply. You appear like a noob saying this without even trying it out first. 2. You may follow the steps mentioned in the article and find out for yourself if its the real deal! I got an error saying \”Error executing updater binary in zip…….\” What to do..? My doubt is that, Is this the same as which we are suppose to receive in OTA ? if there is any future official update like CM12.1 etc will I get it in OTA ? Yes, it’s the same update that is being rolled out OTA and you’ll get future OTA updates like before. Guys, if you wanna help me out? I am on a rooted 1+1 with Twrp and on stockrom (11.0-XNPH05Q) with franko-kernel. Yes, you can flash that file only in TWRP. Yes, wiping cache and dalvik is required and if you encounter any issues then perform a data wipe + wipe cache & dalvik and then install the zip. Could you confirm this OTA is a no-wipe update? Yes, the first method is a no-wipe update that neither wipes your data nor any apps. Thanks a lot for this guide. Managed easily to upgrade manually…as I still did not get the official update. Do you mean Root Fover by side wide sd card folder, why i cant paste zip file there.. always shown that memoru full , or maybe just put in zip file to sdcard ? Worked perfectly fine if you have never tried to flash your opo before. You don\’t need to wipe anything but the cache, and that may not even be necessary. I used twrp with a rooted phone, reflashed busybox and supersu when I flashes CM12 and lost nothing but a theme that wasn\’t CM12 compatible. Accidentally got a second Supersu since I forgot CM12 already had one. I would still back up, but you only lost stuff if you wipe it. Maybe this step isn\’t needed on rooted phones, but using twrp instead of the stock flasher isn\’t what makes you lose your data. the wrong instructions telling you to erase it is the problem! Is it me or is the boot time significantly slower after the update to cm12s from cm11s. I’m on stock cm11s and it fails every time. Any ideas? hey i have 05Q with cwm/philz recovery installed. will i be able to install cm12s on it using the above method, or will it cause any prob? the phone is rooted. the zip file is official ota, right? Brilliantly simple, thanks so much for posting this info. I got tired of waiting and waiting for the OTA update. Now I\’m running Lollipop! I see the Android and the green bar goes across for around 5-10 seconds then it says this…..
Now when I reboot I just get the 1+ Logo over and over, trying to reboot. HELP! I need my phone!!!!! Well- I decided to just wipe and factory reset from recovery. Interestingly, the Lollipop update was applied. All my apps had to be downloaded again BUT all the data in memory (pics, music, etc.) was not erased. OTA is work! 🙂 . Will we get the coming otas directly or we\’ll have to flash it again? I\’m trying to flash it with stock recovery but each time it says E: footer is wrong and E: signature verification failed. Installation aborted. After I flash this will I get further OTA updates like other stock phones? I did a clean installation of Oxygen OS through TWRP. After fiddling it for couple of days, I didn\’t like it and wanted to go back to CM12 or CM11S. I did a format (Wipe -> Advanced Wipe and etc), sideloaded a signed CM11S ROM and tried to install. However, there\’s an error, missing MD5. Now, no matter what I did, it\’s still missing MD5. I am unable to go back to CM11S or CM12 and am now stuck with Oxygen OS. May be the file that you downloaded is corrupted with a different MD5 checksum. This may be a stupid question but want to make sure I understand correctly. 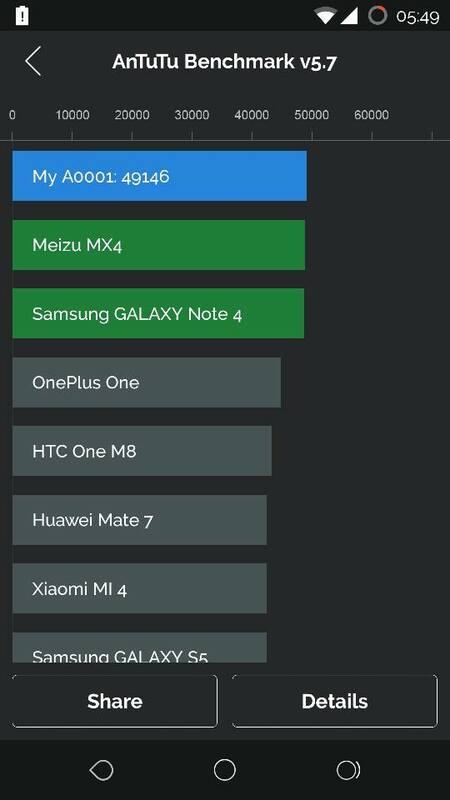 When you download and manually install CM12 (really any ROM) from one of these sites, it is generally the complete package, right? In other words, it generally accounts for all incremental updates that may have come over the air, that may not have been downloaded and installed (by me). Is this right? This was smooth… But I am finding no signed zips for the 12.1 ! I dont want to flash my phone. What should I do? I used your method and it worked just fine, a few days later, an Old update finally arrived, but now I wonder, can I use the same method to update from the update I received OTA to the newest nightly? Or do I have to root and install a custom loader? Hi I too updated to CM 12. But since then WiFi is not working. I downloaded a file from net for fixing error. But unable to flash it as it shows error – e footer is wrong & configuration is wrong. Pl advise. I earlier have oxygen Os and now i upgraded to CM12.When i am trying to install updates of CM12 it restart phone in TWRP.Please help me out in updates. i have updated to cm12.1 and uninstalled truecaller service of 1mb. 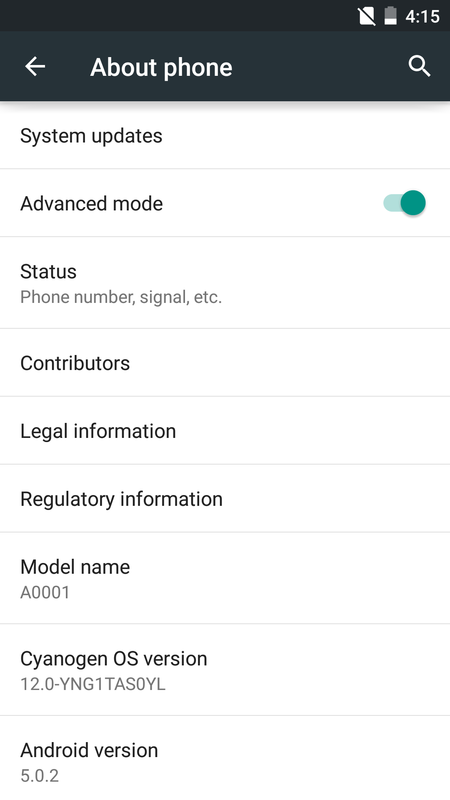 now i want truecaller without factory reset,so i download cm12.1 again and going for update directly has mentioned above but after step6 i am getting error and failing to update i dn\’t want any recovery or bootloader i just want to update is it possible how(i want to keep my opo software has it was from company itself i dn\’t wanna change anything?